The organizing committee of IGC 2016 was already on tenterhooks. This year, the IGC 2016 was to be held from 15th – 17th December and the pre-conference workshop was scheduled for 14th December at the Indian Institute of Technology, Madras. They wanted this to be the most successful geotechnical event ever. 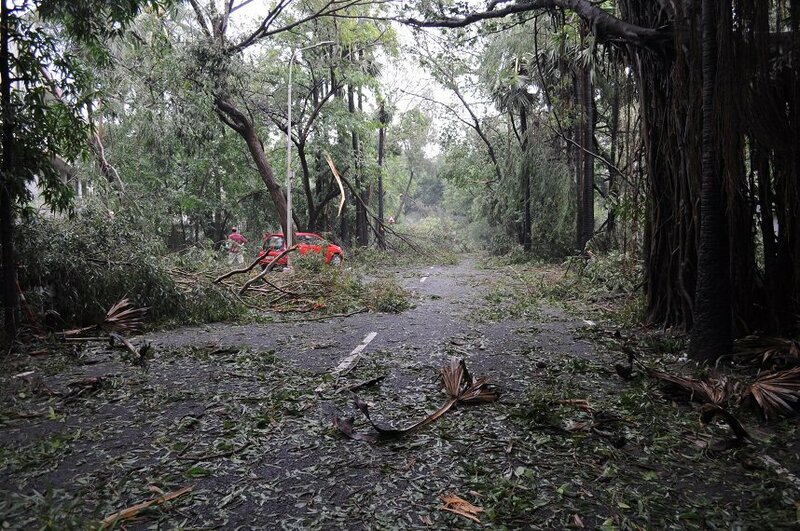 On the 12th of December, the disastrous Cyclone Vardah hit Chennai, causing severe damage. Add to this the currency swap of 1000 and 500 Rupee notes and the not-so-great conference footfall last year in Pune. Chennai had been hit hard, and the cyclonic after-effects had by now dampened expectations. The city recovered soon enough, however. The tree branches were cleared and as the sun came shining through, much to the Organizers’ delight. Power and shutdown and other issues following the disaster had little effect on IGC 2016. Instead, the enthusiastic crowd of 400+ delegates, guest lecturers, exhibitors and students who lit up the ambiance had much to cheer about. Indian Geotechnical Society organizes the Indian Geotechnical Conference annually. The theme for the Indian Geotechnical Conference 2016 was ‘Geotechnology Toward Global Standards.’ The exhibition and paper presentations started off following the inaugural ceremony. Despite the logistical problems, IGC 2016 saw a good number of exhibitors. We spoke to some of them. Hydraulic & Engineering Instruments (HEICO) was one of the platinum sponsors of the IGC 2016. Raunaq Singh, Business Head, HEICO forecast the business to be as usual without any dip caused by demonetization. Another great pillar and platinum sponsor for the IGC 2016 was Aimil represented by S Ramgopal, Joint Business Manager. Oasys located in the Hi-Tec City exhibited their engineering software products and was represented by Vishal Kumar A, Business Development Manager. Ram Caddsys which provides to A/E/C and CAD/CAE industry, representing Chennai was another exhibitor. We also spoke to Sanjay Arora, Executive Secretary, IGS who was very busy as he had a constant stream of members wanting to renew their membership. Manoj Verman, President of Indian National Group of ISRM; Tunneling and Rock Engg Consultant, Gurgaon is a familiar sight at IGS meets. He said that there is plenty of tunneling work going on, but a lot more awareness has to be created in India about tunneling science. Avantech Engineering Consortium Pvt. Ltd. Complete Instrumentation Solutions Pvt. Ltd. 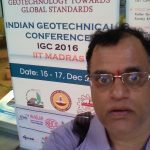 The feedback of the Indian Geotechnical Conference 2016 was that it was much better than the last conference in Pune. With Chennai being a tech-savvy region for Geotechnical activities, there was good representation from the colleges and corporate. Many companies felt that in spite of the demonetization struggles and the global concerns, the Government is taking efforts to support Infra projects. These efforts and approval for the right small and large scale Geotechnical projects will set the future of the Indian Geotechnical Society booming! Geo Spar Infra is a specialized Geo Engineering Company with more than 30 years of experience in designing and executing complex Geotechnical, Civil, Electrical and Engineering Projects.Contact us for all your Geotechnical needs. Spar Geo Infra wishes all the delegates, exhibitors, and participants of IGC 2016 a grand and a happy new year! See you all at IGC 2017.